It’s up to leaders to promote mental wellness so their people–and culture–can thrive. Imagine the fight-or-flight feeling you might get if someone came at you with a knife. As a sufferer of severe panic attacks, I experienced this almost daily. We all know the importance of work-life balance: Employees with balanced lives are more engaged and 21 percent more productive. On the flip side, people with high stress levels are three times more likely to experience a depressive episode. Too often in today’s hard-driving culture, “balance” becomes just lip service. But not only do we provide employees with five weeks’ vacation, we make sure they take it–and we have protocol to ensure they “go dark”–fully disconnecting from emails and work distractions. Like any fast-moving organization, we celebrate great performance, but we also make stretch goals (and sometimes falling short) a cornerstone of our culture. Studies have shown that you learn more from failures than successes, and that those lessons stick with you longer. It’s why we have a dedicated Willing to Fail (WTF) room–a symbolic space to remind us that it’s OK to test big, new ideas. When you release the performance pressure valve on others and treat perceived failures as opportunities, the greatest ideas can shine through. Among the worst things in work–or life, for that matter–is to feel trapped: like you can’t grow, progress, or dream. Mental wellness depends on the ability to imagine goals and take positive steps toward them, which is why healthy companies support employees as they chase their professional and personal dreams. It’s one of the reasons we actively encourage lateral movement and promotions. Leadership training is also core to what we do: People who start out on our trucks hauling junk can take development opportunities and rise through the company. We also find ways to support personal growth with 101 Life Goals. It’s a program that encourages employees to create and share a list of dream accomplishments–everything from “Walk the Great Wall of China” to “Learn French”. I love seeing people train for a 10K run together because they’re working towards something, getting to know their colleagues, and staying active–all elements that contribute to mental health. At the end of the day, the best thing we can do as a company is encourage communication. It’s amazing what just talking can do for mental wellness. When I was having panic attacks, hearing that I wasn’t alone was an essential step towards getting help. It’s why initiatives like Bell’s Let’s Talk Day, a campaign to break the silence around mental health, are so important. 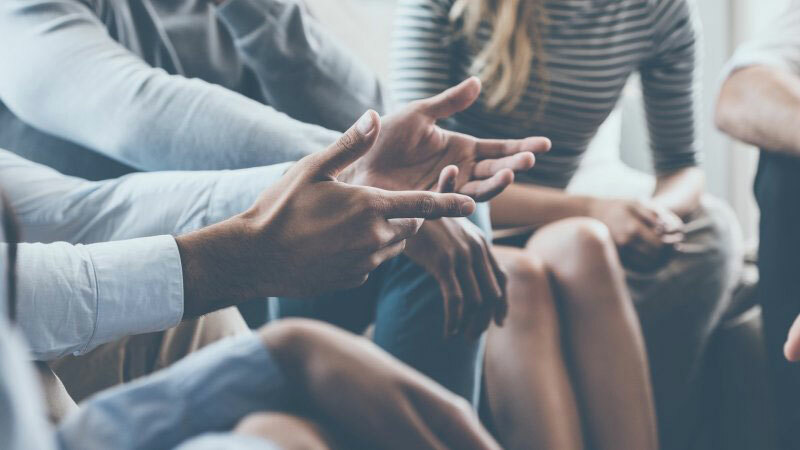 As business leaders, so is being aware of the realities around mental wellness, and trying to create company cultures that are open, supportive, and mentally healthy all year ’round. Next Article Older People Sleep Less. Do You Know Why?